The HP 84 69-ml Light Cyan Ink Cartridge (C5017A) provides you with high-precision images that have the perfect gloss shine. Smart interactive printing technology built into the printing system adjusts colour saturation to ensure consistent printing. With this cartridge, you get faster and more economical printing. HP 84 replacement ink prints high-quality images with up to 2400dpi resolution. The six-ink system provides smoother transitions and higher colour accuracy for printing vivid colour graphics. Intelligent technology also monitors ink levels and informs you when the ink runs out. 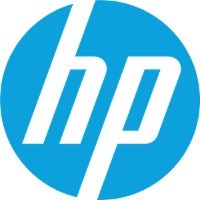 For shipping to other EU countries visit this page HP 84 69-ml Light Cyan Ink Cartridge (C5017A). Für Versand nach Deutschland, besuchen Sie bitte HP C5017A Nr. 84. Chcete doručit zboží do Česka? Prohlédněte si HP C5017A č. 84 světle azurová. Chcete doručiť tovar na Slovensko? Prezrite si HP C5017A č. 84. Für Versand nach Österreich, besuchen Sie bitte HP C5017A Nr. 84. Magyarországra történő kiszállításért tekintse meg ezt a termékoldalt: HP84 (C5017A).